Electric Mud BBQ in Toronto is the BBQ counterpart to the legendary Grand Electric taco restaurant located around the corner. Holding the crown for the best taco spot in a city with no shortage of superb competition (see La Carnita) is no small feat. 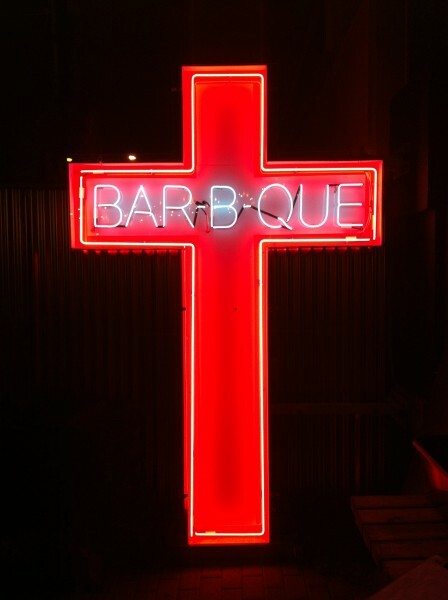 We have to admit that we walked into in Electric Mud BBQ with great expectations inherited from it’s elder sibling. Being greeted by this beauty helped too. We started right away with two shots of the bourbon of the day which was Benchmark Bourbon. After a moments hesitation about whether to sip or shoot the generous glass of bourbon we remembered where we were and drank it down in a single shot. For drinks we ordered the Porch Crawler with thai basil gin, watermelon lemonade and simple syrup as well as the Clydesdale with bourbon, grapefruit, lime and agave. 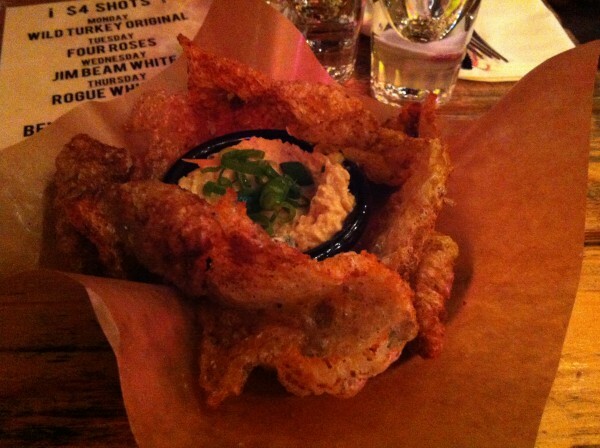 The Pork Rinds were extra crispy and salty and paired with a generous amount of spiced pimento cheese. Fantastic way to start out. We were nearly cheated of our cob of grilled corn and after some theatrics we learned we had secured the last cob of the night. 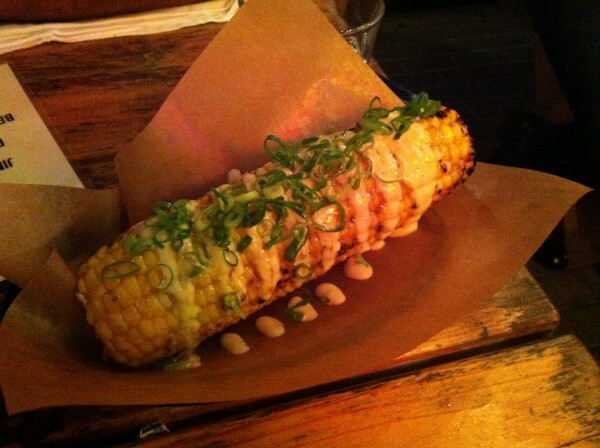 Grilled corn is one of those super simple dishes that can act as canvas on which a restaurant can really define it’s personality. The corn was juicy and doused in dressing, herbs and spices – a staple for sure. The Electric Mud Pork Side Ribs are one of the classic dishes on the menu and they definitely lived up to the hype. The smoker out front is just for show but the restaurant has some serious hardware inside that is put to work on these ribs. The pig tails was the most unusual dish on our list that night and they were served whole and blackened with sweet BBQ sauce. The skin on the tail is THICK and the meat was chewier than the tender ribs. We were happy to try something new. The cocktails and atmosphere is everything you can want from a southern BBQ spot – loud personalities, warm hospitality and a large selection of bourbons. Electric Mud BBQ is a must visit for anyone with an interest in BBQ.